Get Your First Darby Smart Box for FREE – Just Pay Shipping! 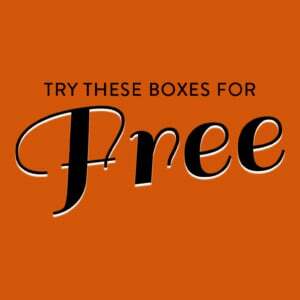 Darby Smart is offering your first box for free! I got the wooden box one, so I think it’s random. I personally would assume that with this offer you are getting a predetermined box (the glass votives, that’s what I received). But there is a coupon to save 10 dollars off the December box. I read a spoiler that December is a swivel globe with outlines but basically a blank canvas curated by Jenni with ISPYDIY. You can decorate based on your previous experiences or with future plans, etc. $30 retail value. However, it also says that you’re not guaranteed to get this one. 🙁 We have a 10 year old learning states & capitals now and I thought this would be really fun to complete as she then learns the continents and countries. Hmm…. However, it also states there is no guarantee of getting this one though. 🙁 We have a 10 year old learning states & capitals and I thought this might be fun to complete as she progresses to continents and countries. Hmm…..
Is there a way to figure out which kit you get with this? Wondering the same. I already received the glass votives box so I don’t want a repeat. I know my friend got the planner one so I think it is probably a random past box.